December 2009 and are due to hand them back in June. social aspects of living with an all-electric car in every day life. close to that of the MINI John Cooper Works and MINI's renowned go-kart handling. dealers within the MINI E research area. use. The lower capacity charge takes just over 10 hours to provide a full charge. Therefore it is only appropriate for occasional use. the decision to work with a research sample in South East England. 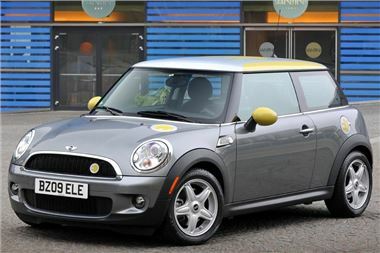 the technical information provided by the data-logging units fitted to every MINI E.
MINI E's in a fleet environment.